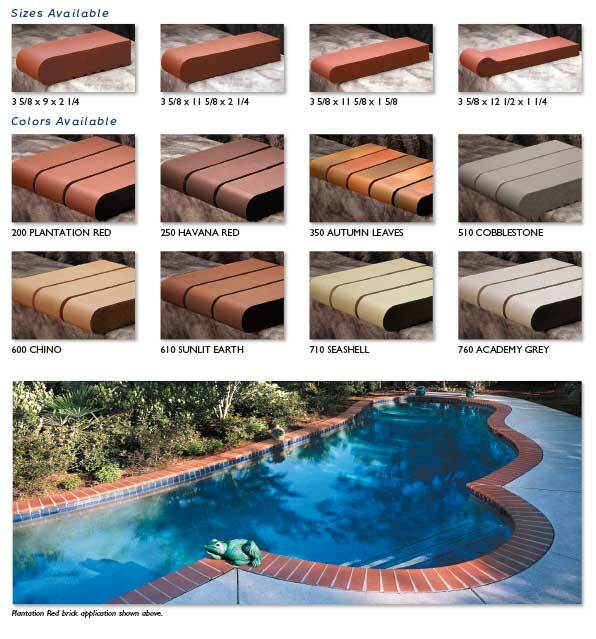 US Pool Tile is your source for the best in Coping and Brick products. Stocking in-depth with a wide variety of colors, sizes and materials, you are sure to find the perfect finish for your backyard entertainment environment. Please be sure to ask your local US Pool Tile representative for all the latest Coping and Brick products. If there is something specific you are looking for that you do not see, just let us know! We’ll do whatever we can to make sure you get what you are looking for.